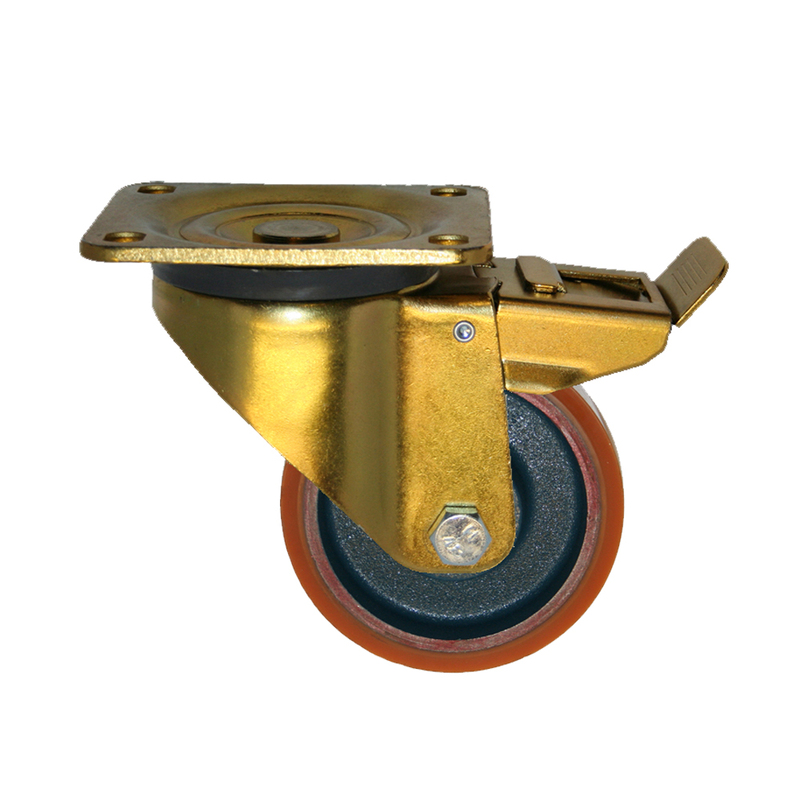 A range of top plate fitting, pressed steel castors, with sealed double race swivel heads with a heavy duty polyurethane / cast iron wheel. 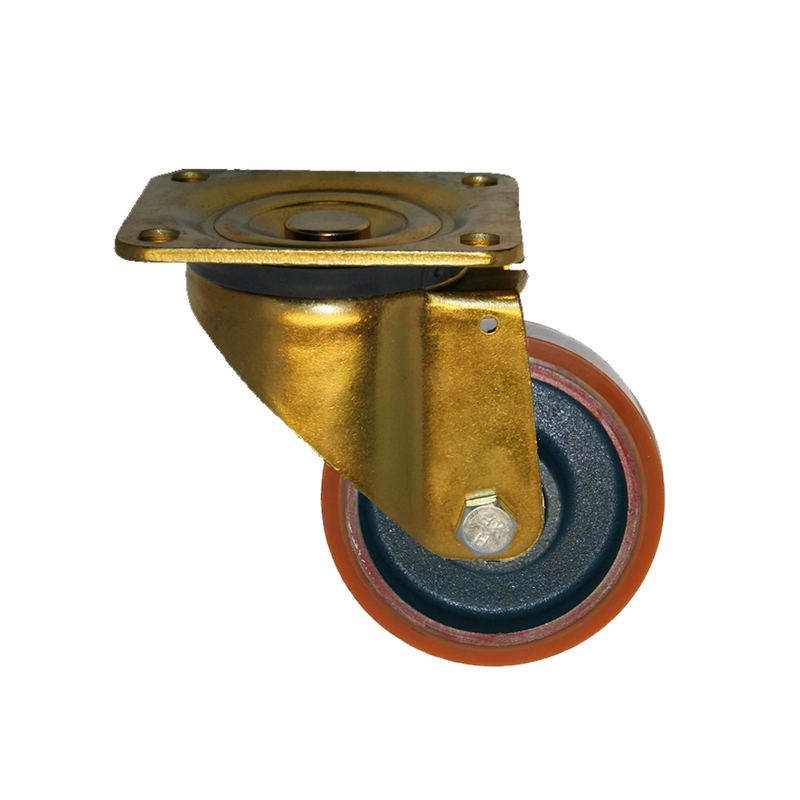 These castors are suitable for heavy duty industrial applications. 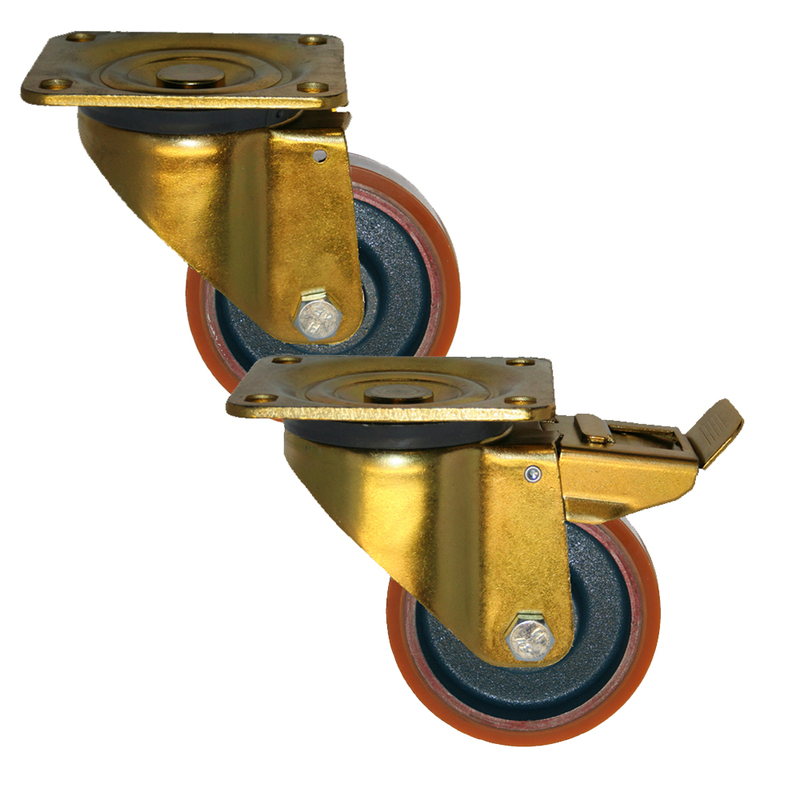 A wide range of wheels can be used with these castors. Directional lock options are available. 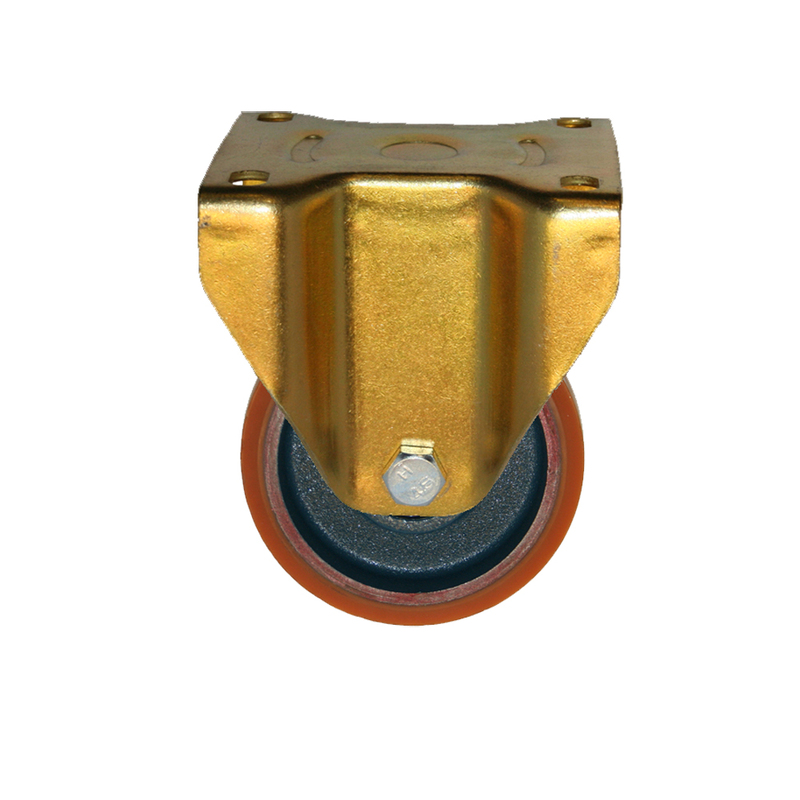 To order a directional lock please add 'D' to the end of the castor reference.